The Colosseum of Rome was built in bricks and covered with travertine in a valley among the Palatino, Esquilino and Celio hills after having dried a small lake that Nerone was using for the Domus Aurea. 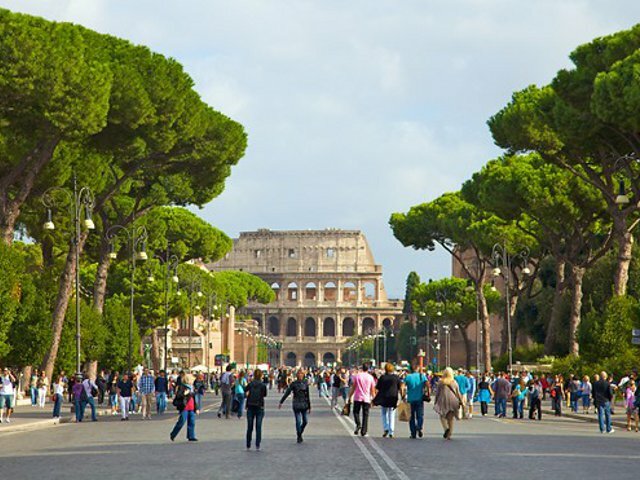 The building consists of four floors, with a total height of 52 metres and an extension covering and elliptical area of about 19000 square metres, it is without a doubt the most reknown symbol of Rome all over the world. For the enjoyment of the inhabitants of Rome, here fights between gladiators or against wild animals and fabulous spectacles as "naumachie", real naval combat in the arena filled with water, were organized. 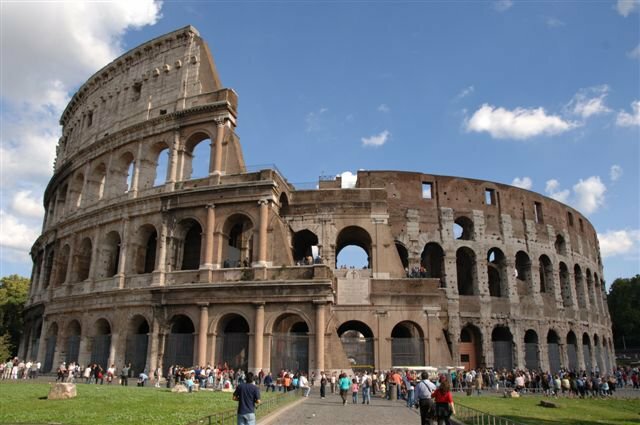 Under the arena of the Colosseum were numerous corridors and rooms used for housing the gladiators and the ferocious beasts that could be brought to the centre of the arena thanks to a series of elevators and ramps. 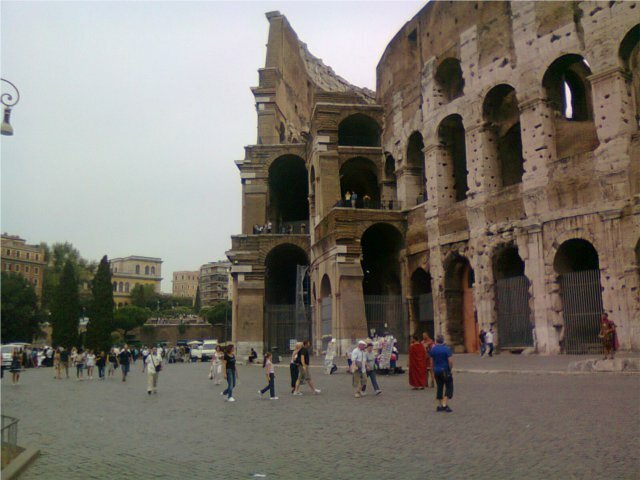 The Colosseum is open from 09.00 am to one hour before sunset depending on the season. We remind the visitors to follow some basic rules of good conduct; no smoking, food and drink allowed inside the archeological area.